Cold water pressure washers in New York City NY can handle a wide range of projects, from prepping metal and concrete to be painted to getting rid of moss on the sidewalk. Whether you want to get mud off your vehicle or grim off your home, these are great options. The cold water pressure washers you’ll purchase from Pressure-Pro are built with the exact chassis design and components that you’ll find with our hot water pressure units, which ensures you get the performance and durability you need for commercial, industrial, or residential use. 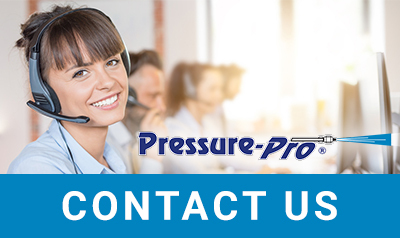 If you are in need of an incredible selection, quality customer service, and experienced techs who can help you find exactly what you need, then you are in need of working with Pressure-Pro. You will find an incredible selection of gas power washers, diesel power washers, electric power washers, accessories, and much more. Contact us at 772-461-4486 or to learn more. With numerous options available, gas cold water pressure washers in New York City NY are one of the top choices. There are many reasons for this, including the fact that they are extremely portable. They can be used anywhere there is proper ventilation and do not need to be plugged into an outlet. As a result, they can be transported easily. These machine are heavy-duty and have more power than electric units, with potential power of up to 4,000 PSI, depending on which machine you choose. However, there are two main downsides: They cost more to purchase and they cost more to run. Like the gas cold water pressure washers, diesel motors are extremely portable (provided they are used in a ventilated area) and they are more powerful than electric power washers. The main difference between these and gas options are the facts that fuel for diesel motors is more affordable and less maintenance is needed in the long run. When surveyed, those who buy an electric power washer often list their quiet operation as one of its top advantages. In fact, they are almost silent. They also do not give off fumes, which means they can be used in bathrooms, basements, and other unventilated areas. Their maximum power of around 2,000 PSI may be half of that of a gas cold water pressure washer, that is still a powerful unit that can get most jobs done. It is also true that electric pressure washers do not require fuel to be added, which makes them much more affordable to run. They are also generally more affordable to purchase which is why they are often the choice of a homeowner with moderate needs. Their main downsides are that they cannot be portable (due to their cords) and they generally do not last as long as a gas or diesel powered pressure washer.